Dentists use porcelain veneers to correct many types of smile defects. Veneers can cover chipped or discolored teeth, fill in gaps between teeth, or lengthen worn teeth. Before the advent of veneers, we could address most of these problems only by doing crowns. Since a veneer involves much less tooth reduction than a crown, it is a much more conservative procedure that provides excellent results. In fact, we can often place a veneer without any tooth reduction at all! In cases where tooth reduction is needed, we usually remove only a minimal amount of tooth in order to provide the best esthetic result. We then bond the veneers, which are approximately as thin as your fingernail, onto the front of your tooth to cover any defects or discolorations, or to fill gaps between your teeth. To find out more about Porcelain Veneers, schedule an appointment at our Annandale office, minutes from Merrifield and conveniently located near Fairfax, Vienna and Burke, VA. Call 703-698-9698 or fill out the form to the right. Porcelain veneers can give you a fabulous looking smile. 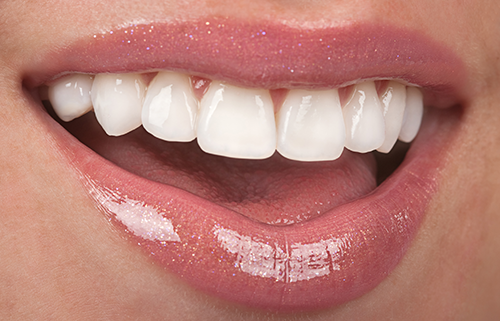 Want to know more about dental veneers?